Tran Hau Khang* and Le Huu Doanh. National Hospital of Dermatology and Venereology, Hanoi, Vietnam. *To whom correspondence should be addressed. E-mail: khangquocduc@fpt.vn, tranhaukhang@gmail.com. Received 06 August, 2017; Received in revised form 04 September, 2017; Accepted 08 September, 2017. Psoriasis vulgaris, Phototherapy, Photochemotherapy, Skin clearance, Relapse. Psoriasis vulgaris is estimated to be about 85% of all types of psoriasis presented at Vietnam National Hospital of Dermatology and Venereology (NHDV). Psoriasis is still not completely curable, although a wide variety of treatment modalities are available. 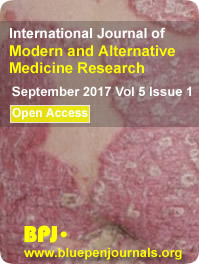 This study was aimed at comparing the therapeutic effects of psoralen plus ultraviolet A (PUVA) and broadband ultraviolet B (BBUVB) in the treatment of psoriasis vulgaris. Sixty psoriasis vulgaris patients who presented at NHDV were randomly divided into PUVA-treated group (34 patients) and BBUVB-treated group (26 patients). The dose of UV was based on the skin type. Psoriasis area and severity index (PASI) score was measured at the beginning and after every two weeks in both groups. The patients were followed up for 1 year after skin clearance to monitor the relapse. Median time reaching PASI75 (75% reduction of PASI) were 28 days and 35 days for BBUVB and PUVA, respectively (p=0.0216). There was no significantly different skin clearance (PASI100) rate in BBUVB- and PUVA-treated groups (p=0.317). However, BBUVB treatment involved higher adverse effects with erythema, burning, moderated hyperpigmentation and itchiness. PUVA-treated patients had significantly longer remission (p=0.0053), with the median weeks to relapse being 31.5 weeks versus 12 weeks among patients treated with BBUVB. BBUVB is more effective than PUVA in a short duration reaching PASI75 and PASI100 with higher photo side effects. However, PUVA treatment prolongs the regression of psoriasis. Therefore, the combination of BBUVB and PUVA will be an effective phototherapy for skin clearance and prevent the recurrence.